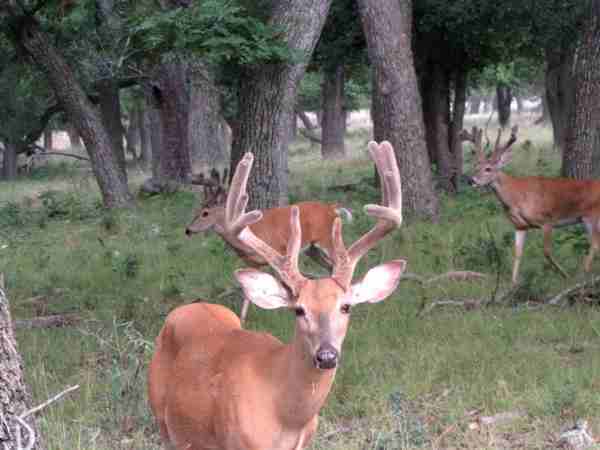 Whitetail Deer Hunting Trips in Texas for Trophy Bucks, Guided Hunts! For serious whitetail hunters there is very little in life that can compare to the thrill of trophy whitetail hunts. Bringing home a trophy sized buck means bragging rights as well as a beautiful head or antler mount that you can talk about for years to come. 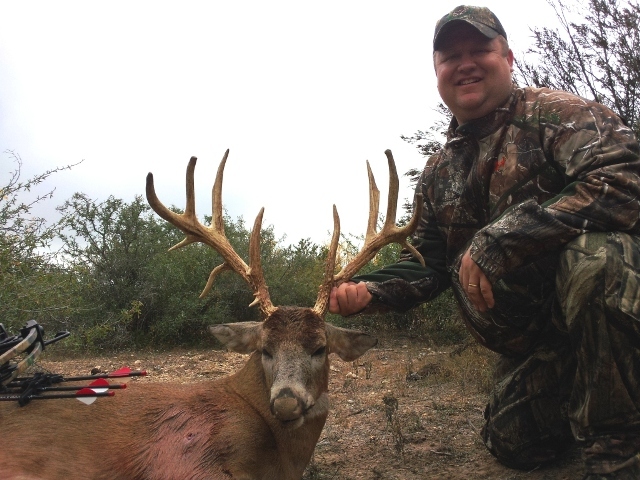 Escondido Ranch offers two different trophy whitetail hunts, one for bucks with a B/C score of over 140 and one for bucks with a score of 130 to 140. Deciding on which option you want is really a personal choice depending on how impressive you really want to go. All trophy whitetail hunts on the ranch are completed from blinds, giving hunters the opportunity to set up and hunt from a higher elevation than the deer are standing. Not only does this help in clearly seeing and observing the bucks but it also helps in zeroing in on a kill shot from a superior vantage point. The staff at the ranch closely monitors all tree blinds and ensure they are safe, dependable and in just the right position to have the best view of the animals on the game trails or coming into the feeders. Guides will also make sure that you are in the best possible location on your trophy whitetail hunts since they monitor the movements of the animals on the ranch. If you are looking for trophy whitetail hunts it is hard to imagine trying to set up a hunt not using managed land and a professional guide that knows the herds and the animals available. Without this advantage you are really just running on luck, hoping that a large buck will wander by your stand. By hunting for the trophy animals where you know they are and you have professional support to find them it is much more likely that you will be able to bring home that outstanding animal. 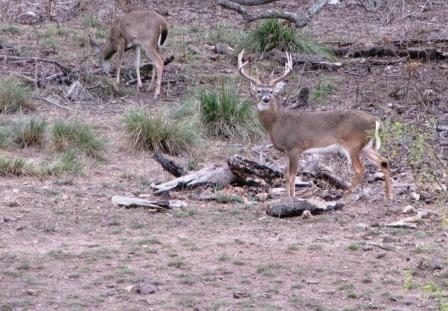 Whitetail herds at Escondido Ranch are known to include bucks that have those high B/C scores of 130 plus. Guides will also help you clearly identify the approximate score on the buck before you take a shot, again helping you to get just the trophy animal you are looking for. If you are an experienced hunter or a relative newcomer to the thrill of the sport you will quickly see the value in having these experienced and professional guides to assist you through the hunt. 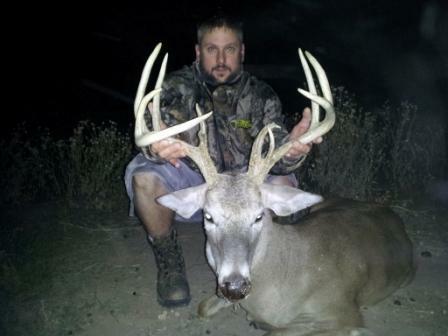 When booking your trophy whitetail hunts at Escondido book early in the year as all hunting trips are done on a first come first served basis. Booking late may mean that you have to wait another season to try for that trophy head since the game managers only allow a specific number of hunters per year for these big bucks. Typically trophy bucks are going to be five plus years old, which means that only a few will be taken every year to provide opportunities for trophy bucks for seasons to come.